Nebraska coach Scott Frost addressed the Huskers' quarterback situation on Tuesday's Big Ten Coaches Conference Call. Frost spent nearly half of his 12 minutes on the call discussing the transfer of Tristan Gebbia, the decision to name true freshman Adrian Martinez the starter and what the backup situation looks like now. The official word on Gebbia's scholarship release came Tuesday morning. The news followed confirmation that Gebbia was no longer enrolled in classes at Nebraska. When it came to Gebbia's decision, Frost said it was final. "We want what's best for him and he made a decision with his family what is best for him and we wish him the best," Frost said. "There was no changing his mind when he came in." Gebbia's departure comes after Martinez was named the starter Sunday evening. The departure also leaves Nebraska with sophomore walk-on Andrew Bunch as Martinez's backup, and true freshman walk-on Matt Masker at third string. "Well, having a walk-on true freshman from the LouPlatte Conference as our third-teamer is not where we thought we'd land, but Matt's done some really good things," Frost said. "I think both those kids, I think when Bunchy was getting equal reps with the other guys, he was in the mix. When the reps started to dissipate as we were working with two quarterbacks, his play wasn't quite as good. I think his play is going to pick up again as soon as he gets some reps. But he's an athletic kid with a good arm and I think the more reps he gets, the better understanding of our offense he'll have. "Certainly not an ideal situation for us to go into a season the way we are, but that's the way it landed." Sophomore Noah Vedral previously played for Frost at Central Florida and has experience in his offense. However, Vedral currently has to sit out one season due to NCAA transfer rules. With Gebbia leaving, Nebraska may try to receive a waiver for Vedral to be immediately eligible in 2018. "We've been working on Noah and potentially filing a waiver for a long time. I hope it's consistent. That's the only thing we're hoping," Frost said. "When people are transferring most of the time right now, it's because they're not going to play somewhere and they go somewhere else. It's hard to blame them but it's also hard to manage as a coach not knowing who is going to be on your team and who isn't. We certainly would have managed the situation different if we had known someone was going to leave us right before the first game. "We've had a couple of quarterbacks leave now and I'm sure they're filing waivers for immediate eligibility and Noah's situation is no different. He wanted to be closer to his parents, had some family things he wanted to get back for and wasn't going to play at the other place because of the kid that they have. We'll keep fighting the fight and we're going to roll with what we have and have all the confidence in the other kids that are here." A waiver is a long shot for Vedral, but Frost said Nebraska will at least give it a shot. He also said he's not upset about a player transferring, especially when it comes to the player and team not being on the same page. "We're working on it. That's all I can say and I don't know where it will land," Frost said. "I just hope big picture that college football doesn't become transfer mania. It's hard to manage as a coach and you do what you can for kids. And I understand their perspective that they want to play. It would be hypocritical of me to talk about how much we care about the players and not allow someone to do what they want to do or do what's best for them. On the flip side of that, we preach to our guys all the time 'team before me.' I'd be hypocritical to have someone on our team that's 'me before team.' Sometimes those things are going to work out how this just worked out and we have to do our best as coaches to manage those situations." 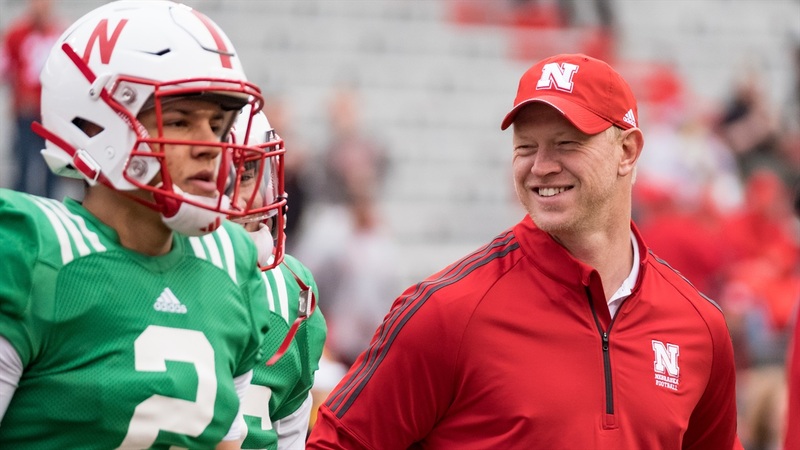 Despite all the drama around the quarterback position, Frost is still excited about Martinez. He feels the true freshman has a lot of potential at Nebraska. "At the end of the day, we picked the players at every position that we thought gave us the best chance to win," Frost said. "He's young, needs some experience and we're going to give it to him. "I think just his overall command of the offense, ability to throw and ability to run made him a pretty clear choice and we're anxious to see him get out there and make some plays."